This Caribbean-style resort is right on the banks of the picturesque Lake Davenport and it&apos;s laid out over 70 acres of landscaped gardens, making it a truly beautiful place to stay. It even has its own beach on the banks of the lake! The apartment-style condos are exceptionally well equipped and you&apos;ll really have no need to eat out, but if you don&apos;t want to cook there&apos;s a great restaurant on site. This resort is a fantastic place to be if you&apos;re the sporty type, with volleyball, basketball, tennis to contend with. Kids will love the playroom and games arcade, while adults can relax and listen to soft Caribbean music by the pool, or take advantage of the fabulous new spa, offering a myriad of treatments and a fitness centre to boot. By picturesque Lake Davenport in Kissimmee, only 15-minutes drive to Walt Disney World Resort. 30 minutes to Universal Orlando Resort™, 20 minutes to SeaWorld® Orlando. Driving time from airport: 30 minutes. 498 apartments in 38 buildings on 2-3 floors with no lifts. All with air-conditioning, WiFi, cable TV, DVD player, fully-equipped kitchen with dishwasher, cooker, microwave, fridge, washer and dryer, iron and board, and hairdryer. 2-Bedroom Apartments with queen-size bed in master bedroom, 2 single beds in 2nd bedroom and sleeper sofa in living area, sleeping maximum 6 adults or 2 adults and 4 children. 3-Bedroom Apartments with queen-size bed in master bedroom and 2nd bedroom, 2 single beds in 3rd bedroom and sleeper sofa in living area, sleeping maximum 8 adults or 4 adults and 4 children. Tradewinds Restaurant & Bar and Mambo&apos;s Poolside Bar & Grille. 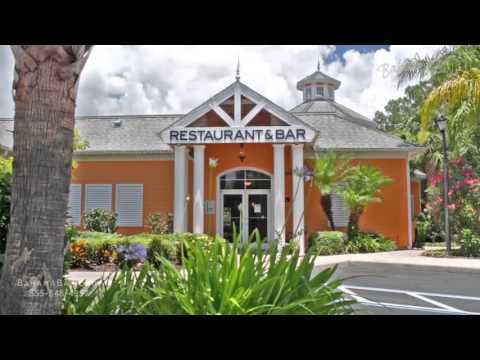 Plenty of restaurants a short drive away in Kissimmee. 4 swimming pools with hot tub, basketball, volleyball, tennis courts, walking trails, children&apos;s play area and splash park, lounge area, arcade, newly refubished Spa with a wide choice of treatments*, fitness centre and sauna, recreation area, bar games, including darts and pool, fishing dock, sandy beach, direct lake access. Marketplace Gift shop and grocery store, located in the clubhouse. Free DVDs available from the clubhouse DVD library. Room service*. Please note: Coach transfers are not available to this resort. Another great two weeks at this resort and the 5th time was as good as the first time. Our 3 bedroom unit was nice and clean, the staff as always helpful and the grounds well manicured. Just love this place as do my travelling companions and look forward to another visit.